As you all know, what you're looking at right now is my forever hair. Blunt bangs, A-line bob, clipped high and tight in the back. Simple yet complicated and I trust only one person to to try this bob cut and that is my hairstylist soulmate Michael Forrey. He has since moved to Barrow Salon, and like that needy friend you can't get rid of, but you call one a month when you're bored when want someone to share a salad with, I followed him there. The salon is hip, the vibe is cool, and you can have a champagne while you get pretty. Pampered and Champered. Check him out at Barrow Salon located at 256 SUTTER ST., 4TH FLOOR, SAN FRANCISCO, CA 94108. February 21, 2018 by Tina Phan. January 18, 2018 by Tina Phan. I'm so excited to feature the new Sassoon Salon hair collection, Mondaine. Mondaine celebrates people's individualism and boldness. Inspired by Balenciaga and Iris Apfel, the collection focuses on strong colors, bold lines, and what Sassoon is known for, their precision techniques. The Mondaine collection focuses on "bold, block colors and graphic shapes of this ideal echo the experimental silhouettes of Cristobal Balenciaga who utilized austere architectural shapes and bold color combinations in his inimitable designs." You can see more of the collection in all its perfection here. 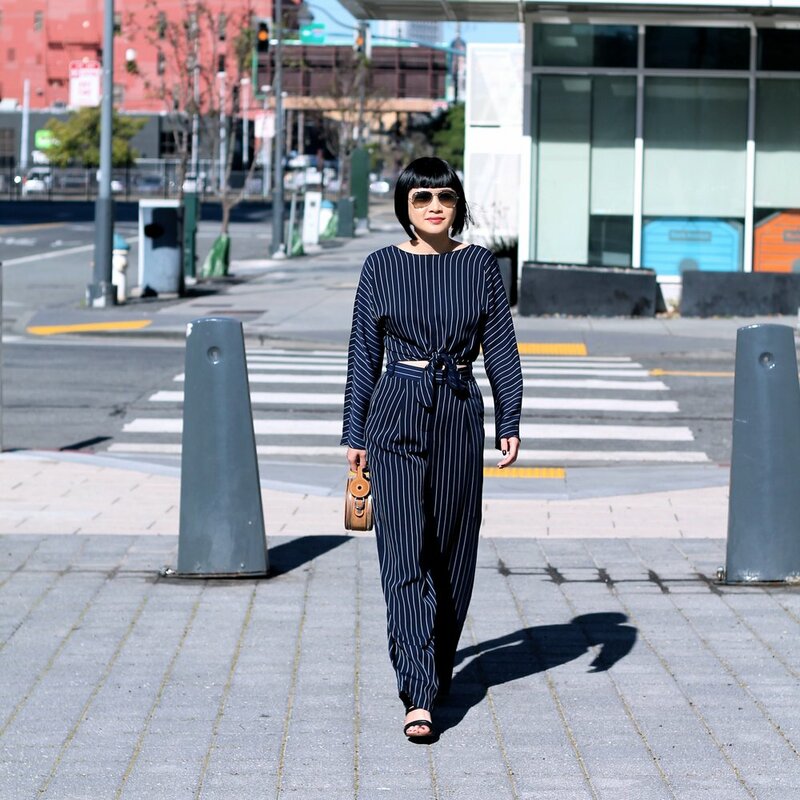 As always, my perfect A-Line bob haircut can be yours at Sassoon Salon San Francisco located at 359 Sutter St, San Francisco, CA 94108 and is cut and styled by Creative Director, Michael Forrey. December 19, 2017 by Tina Phan.